AXIATA (6888) retrace down from RM5.09 level. 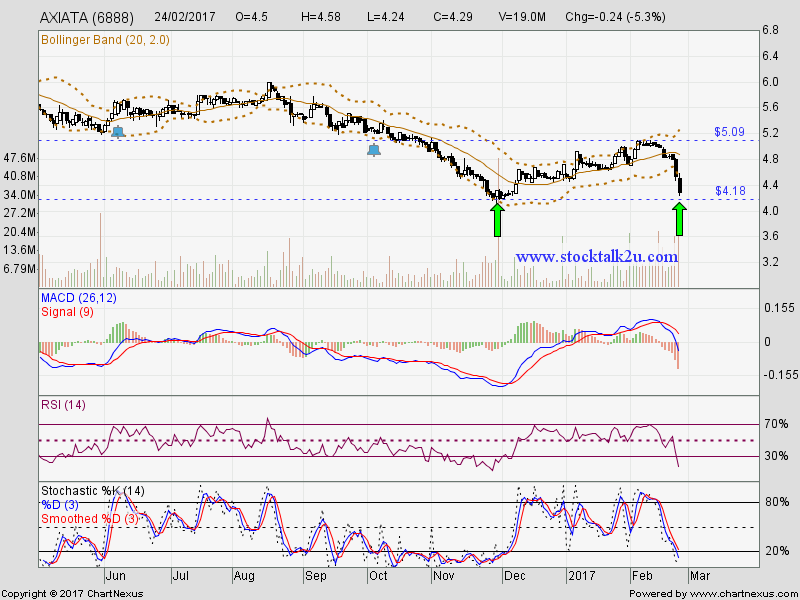 Will it rebound @ RM4.18 support level? Immediate resistance @ RM5.09 level. 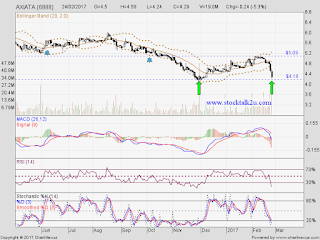 Subsequent resistance @ RM5.22 level. Immediate support @ RM4.18 level. Subsequent support @ RM4.05 level.